The Environmental Health Program of the Cheyenne Laramie County Health Department investigates community complaints primarily in the programs administered by the Division of Environmental Health. 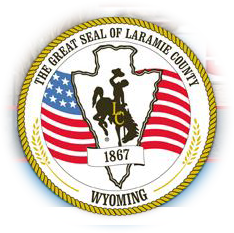 Complaints may be referred to other agencies of the City of Cheyenne, Laramie County or State of Wyoming such as: Animal Control, Department of Environmental Quality, Air, Solid Waste or Water Quality etc... When reporting a complaint you will be asked for the establishment name, address, and the nature of the complaint and/or property owner causing the complaint. You may be required to give your name and daytime telephone number when filing a complaint. Complaints are initially investigated with an establishment inspection or a drive by investigation on an outdoor property complaint. The inspector will generally contact the establishment manager or property resident in person if it appears one is available and then follow-up by sending a letter to the responsible party giving a specified period of time to abate the problem. Follow-up inspections will be done for non-compliance, with further legal action when it is deemed necessary.